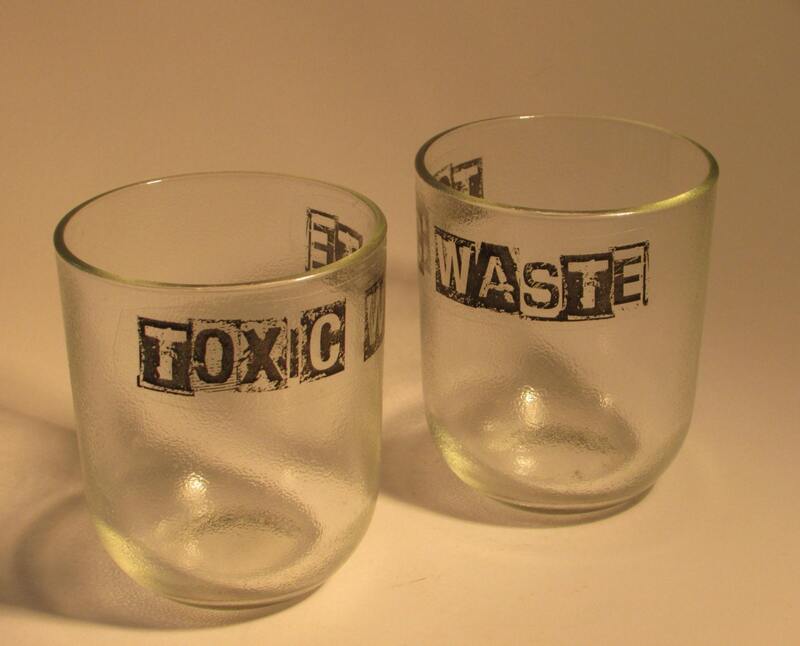 A pair of quirky glasses with printed with an ironic biohazard message. The image is created by film transfer, and then sealed. With care will last many years. Glasses are finished in a variety of styles, from lazer transfer and decoupage, to acid etching, marble dips, and glass paint. Every one is an original..